It is with great pride that we celebrate our tenth anniversary this year. We are marking the anniversary in many ways, including the launch of this new-look website designed to work on all screens – phones, desktops, tablets. I hope you enjoy browsing our latest news that includes an exclusive interview with Bashar Masri founder of the remarkable new Palestinian city of Rawabi. Sharing this occasion with us are our many thousands of supporters worldwide together with our Patrons, Friends and Ambassadors. Dame Judi Dench, the Archbishop of York, Dame Helen Mirren, Mansoor and Valerie Ijaz, Sir Patrick Stewart, Yotam Ottolenghi and Julia Sawalha have all sent us personal messages. The theme for the anniversary is Music for Peace and we plan to raise funds for the Edward Said Music Conservatoire in Gaza and the Arab Jewish Youth Orchestra and Beit al-Musica in Israel. In other news, three groups receive our 2015 grants; Michael Morpurgo – author of War Horse joins us as a Friend; the Rozana Project affiliates with our Coalition of Peace. 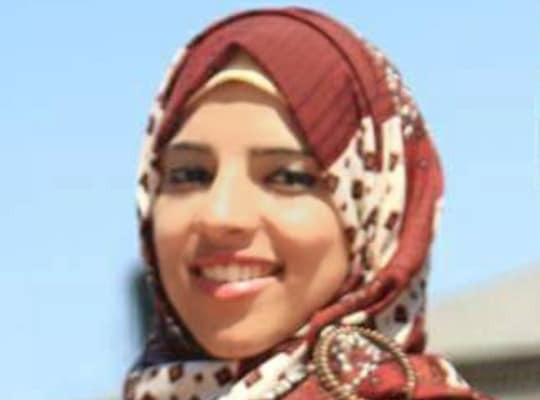 And we introduce a new member of our team from Gaza – Dalia Al-Najjar – who writes about her life in her Letter from Gaza. We announce the formal launch of the US Friends of Children of Peace and we call upon your support for our forthcoming 2015 events. All of us are greatly moved by the support we receive from people worldwide. 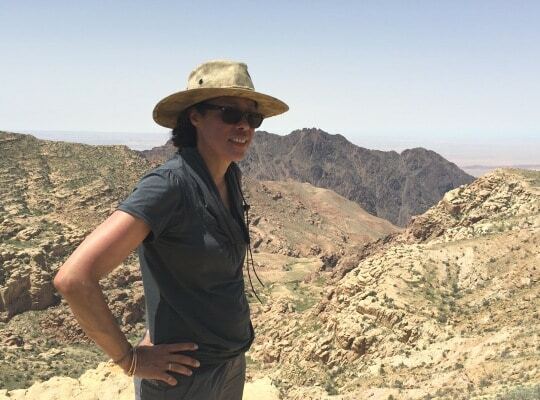 Denise Roudette – a wellbeing and welfare officer at an inner London school – trekked across the inhospitable Jordan Desert to raise funds for us. 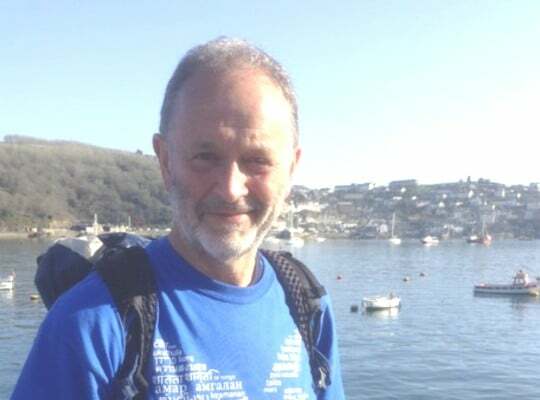 Paul Haines plans a momentous walk from Rome to Jerusalem on our behalf this summer and in July twelve members of Team Children of Peace will run the London 10K. Please support these extraordinary people. Professor Sarah Brown talks to Bashar Masri, the inspiration behind the beautiful new Palestinian city of Rawabi. The Rawabi master plan for the high-tech city envisages 6,000 housing units, for 25 to 40,000 people. Children of Peace is pleased to announce that three groups that carry out remarkable work in the region, are recipients of our 2015 Annual Grants. In the first of a regular series of despatches from Gaza, our new writer Dalia Al-Najjar, focuses on her life and the everyday reality of the Strip. Inspired by our work, Denise Roudette embarked on a trek across the mountains of the Jordan desert to raise money for Children of Peace. Children of Peace welcomes new affiliate, the inspirational Rozana Project, to our Coalition of Peace, the single, largest peace network across the Middle East. Children of Peace is delighted to announce that Michael Morpurgo – author of War Horse, has kindly agreed to join us as a Friend. Our West Bank research shows that many landlocked Palestinian children dream of visiting the seaside. This summer we launch our Seaside Project. Team Children of Peace run the ‘London 10K’ in July and raise funds to help us. Take part or support the team! Paul Haines, a supporter of Children of Peace plans a momentous Peace Walk from Rome to Jerusalem from July 2015. He tells us his plans. The latest news from around the region, including this controversial picture from a Patron of ours, Madonna, environmental news, and FIFA. In this latest interview Professor Sarah Brown speaks to Bashar Masri, the extraordinary inspiration behind the beautiful new Palestinian city of Rawabi. Rawabi is located near Birzeit and Ramallah. The master plan drawn up for the high-tech city envisages 6,000 housing units, housing a population of between 25 to 40,000 people. These are spread across six neighbourhoods with shopping and business districts, plazas and recreational areas. The super-modern amenities and resources include an arts centre and a newly created forest by the city. Sarah: Can you tell us a little about your early life, and the circumstances which took you from Nablus to the US, and then back to the West Bank/Palestine? Bashar: I was born in the city of Nablus and was raised there. As a young teenager, I was arrested and imprisoned on several occasions for protesting the Israeli occupation by throwing stones. The last time I was arrested and thrown in prison, I missed my final exams. In order not to lose the whole school year, I applied to high school in Egypt and transferred there to take my finals. In the same year, that summer, my father, who was a doctor, received an offer in the United States. My family moved there and I enrolled in Virginia Tech, where I went on to get my undergraduate degree in Chemical Engineering. For ten years after graduation, I worked in the Washington, DC area as an engineer at a consulting firm. During that time, I applied for and received my American citizenship. Once I got my citizenship, I attempted to return to Palestine (in 1989) as a visitor, because I had lost my residency status due to the occupation. But 1991 when I tried to return again, I was turned away at the airport and sent back to the US. In 1994, after the launch of the peace process, and because the situation in Palestine had calmed down somewhat, I decided to return and to start a new business. Living in the US had given me a great number of experiences and perspectives in business. I came back to put those experiences and my education to work, founding my company Massar, which means “path” in Arabic. My goal was to create jobs for Palestinians who didn’t receive chances similar to what I received, and to serve as a liaison between the local and international private sector. Although I immensely enjoyed studying, working and living in the US, Palestine is my home and there is nowhere else I would prefer to live. As soon as I was able to return, I jumped at the chance, bringing my wife and our beautiful daughters to live here. Sarah: What inspired you to found Rawabi, and what are your hopes for the city? Bashar: I very much wanted to make a lasting and significant contribution to the building of the state of Palestine. I’d always wanted to do something that was really bold and big, something that would transform Palestinians’ self-image and remind us that we are really capable of doing anything and everything we set our minds to. In 2007, I saw and became very concerned about the shortage of housing for Palestinians. Decades of political and economic instability had resulted in uneven development in many sectors of the Palestinian economy, but the housing sector was really in bad shape. Our population was growing at a rate that was rapidly outstripping the available housing supply. That’s really where the idea of the new city came from – it arose from a need for housing that was bad and getting worse. The project is so large that it employs thousands of people, which helps to reduce our unemployment rate. Rawabi is the single largest private sector employer in Palestine. No doubt the project had its challenges and constraints – not the least of which was finding enough land to build it on – but I worked diligently to overcome these obstacles, thinking outside the box and keeping focused on incorporating the latest advances in technology and infrastructure. But in addition to that, and by building a planned city, which could be replicated all over the country, I’d actually help to transform Palestine into a country for future generations to live, work and grow. Every day we take steps towards our goals, including creating not just jobs in the construction sector, but jobs in many other sectors as well. We want to make Rawabi the hub of the ICT sector in Palestine and in the region, and to attract international companies to the City Center. At Rawabi, we’re trying to build a community of people who are united in their vision of a progressive, modern Palestine of the future, as well as homeowners who care not only about their own home, but for the welfare of their neighbours, neighbourhood and the city as a whole. The dream of Rawabi is as big as the city itself; to improve quality of life for as many Palestinians as possible and to make a long-term, sustainable contribution to national prosperity. I do genuinely believe that if we launched just a few similar projects, we would not only boost the Palestinian economy to a more favourable position, but would also contribute greatly to the national objective of a sovereign, viable Palestinian state. By moving forward decisively to construct our own future, rather than leave our fortunes to fate and the will of others, projects like Rawabi can create positive perceptions of Palestine and the Palestinian economy with the international investor community. Because like all economies in the world today, we need foreign direct investment and a robust exchange of imports and exports if we are to grow and thrive as a nation. Sarah: I was intrigued to read that you had decided to include a Roman amphitheatre in Rawabi – why was that? Bashar: A large public performance arena is a huge step toward helping to preserve our cultural and artistic heritage. Currently, we lack well-equipped, comfortable outdoor arenas such as those found in other parts of the world. While it may seem a strange thing to focus on at first glance, it actually makes a great deal of sense on many levels. Economically, socially, culturally, politically – to build capacity in Palestine to put on world-class performance productions and attract top talent from around the world to our beautiful venue – all of this creates positive perceptions of Palestine, helps to build our tourism sector and helps us to revive our own culture and heritage by encouraging the creative arts, as well as sports and leisure activities. It’s known all over the world that old Roman-style theatres continue for eras to be a landmarks, and a very special local attraction in any city they exist in, we want to create a momentum and a Palestinian landmark for generation to come. The outdoor theatre is part of a much larger cultural hub within Rawabi – WaDina, a 135 acre outdoor complex that includes all the facilities and infrastructure we need for a vibrant and thriving arts, sports and leisure scene. We gave this aspect a priority because we took into consideration the shortage of such destinations in Palestine. Sarah: Has this project been criticised by the Israeli side? Bashar: Yes. It’s usually the radicals and the radicals are very loud, on both sides. We’ve been criticised by the Israeli radicals from left and right who want to punish companies that work with us because we decided not to use products from the Israeli settlements. But, when you talk to people involved it is very clear that this is not a political project. All major infrastructure projects anywhere are the subject of criticism, negative attention and public debate. It’s part of the process. Ironically, I take on these critics and I am very happy about, because it tells me I am doing something right. Overwhelmingly, however, people all over the world support the idea of Palestinians building their own city, even Israelis. But when it comes to reality being under occupation puts many challenges in front of the city, like the roads, and water issues which delay the families move-in for more than a year. Sarah: The peace process seems (for the moment) to have stalled. Do you see any signs of hope for Palestinian aspirations? Bashar: As long as we are alive, there is hope, the success or failure of the peace process doesn’t stop us from dreaming of better future for our generations, or from building our nation in the making. The question here is how easy or difficult we can achieve our dreams as the peace process stalled. As you grow, you understand things better and you learn things. I believe since we have signed a peace agreement, that all our resistance should be a peaceful. Even when the occupier quells us, I believe – although I was a rock thrower myself – we should not respond. We need to become more sophisticated by using smart ways of fighting the occupation. Building a city is, in a way, fighting the occupation. It is the more progressive, professional and human way. Sarah: What initiatives and responses from people, organizations and countries outside the region either help or hinder the search for a just peace? Bashar: There are hundreds of organizations across the world working for peace in their own way. None have succeeded thus far. Which means we must all redouble our efforts, refrain from allowing our frustration with the occupation to cause us to attack one another, and continue to strive for peace, together and as individuals, in the best way we know how. All Children of Peace interviews cover a wide range of views on the Israeli-Palestinian conflict and do not necessarily reflect those of Children of Peace. Children of Peace is pleased to announce that three groups that carry out remarkable work in the region are recipients of our 2015 Annual Grants. In 2014, St John of Jerusalem Eye Hospital Group treated 20,000 children at our clinics in Gaza and the West Bank. The most common problems affecting children’s eyes are genetic, including congenital cataracts, glaucoma and squints. Catching eye conditions early is crucial for successful treatment, which is why our mobile outreach team travels across the West Bank, examining children living in isolated villages. Without sight, many children would struggle to access education, gain work and ultimately live independent lives. With genetic eye diseases frequently affecting whole families, it is important that we continue to save the sight of children in the West Bank and Gaza. Windows is a joint organization of Jews and Palestinians established in 1991 to promote contact, understanding and conciliation between both communities, through educational and cultural programmes. In gratitude to Children of Peace for supporting the Windows youth programme, we asked recent participants to comment. Omri from Ramle said “I came to Windows to meet the other side in a safe space” and Motaz from Nablus added, “I learned a lot and my thoughts developed”. Raphael from Tel Aviv commented “the information I learned helped me understand more” and Reem from Jaffa concluded, “Windows gave me strength and ability to present my opinions in a more rational way”. Rabbis for Human Rights (RHR), specifically dedicated to addressing human rights abuses, has been working with the Jahalin Bedouin, since its establishment in 1988, to educate their youth and prevent the displacement of the community. RHR has been running summer programmes, an educational centre with after-school arts and crafts activities, a library and volunteer run English lessons for the youth of the Jahalin on the Jabal. RHR plans to expand the library, purchase and set up playground equipment and initiate youth leadership activities for teen-age boys, with the goal of continuing to educate and empower the youth of the Jahalin community. In the first of a regular series of despatches from Gaza, our new writer Dalia Al-Najjar – focuses on her life and the everyday reality of living in Gaza. I have survived three wars, dealt with all post-war sufferings and I am just 20. I am a business school top student, a member of the World Youth Alliance, a member of the International Association of Volunteer Efforts and other youth-led local organizations. I am an entrepreneur, a participant in MEPI student leadership programme. And I present a weekly online show with the Gaza online network where I am also an editor. However, there are even more successful women and girls in Gaza these days. In the past 20 years women in Gaza have gradually rebelled against the cultural constraints of our society and started to compete with men in both academic and professional fields. Leaving important foot prints, these pioneers have empowered women and opened up opportunities for other women to follow the same path. Despite of all the miseries, the awful economic conditions and the unemployment rate which is the highest in the world, women in Gaza have taken up the challenge with a higher ambition. In fact, many have become financially independent and have begun to provide for their families. Most work in the voluntary sector in CBOs or NGOs to help local development. Women in Gaza didn’t just ask for equality, they have gone even further. Many have consistently exceeded their male counterparts through their outstanding abilities. Women now also represent Palestine at international conferences and gatherings when the borders are open. The continuous closure kills many opportunities and dreams. Thankfully, it’s access to the online world that has opened up a world of change and hope for some of us. Several of my friends and I have dreams of taking an effective part in the government. I wish to be the first female Palestinian Prime minster. My parents say I’d be a good one. I believe if women in Gaza had similar opportunities like women in the western world we would make a big difference – helping to shape and share peace across the world. Children of Peace inspires worldwide support, for which we are proud. Here is Denise Roudette, a wellbeing and welfare officer. 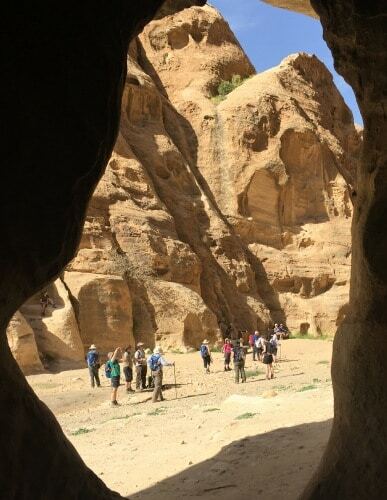 She works with children in a large, inner city primary school in London with 480 pupils, and tells us about her trek across the Jordan desert to raise funds for us. 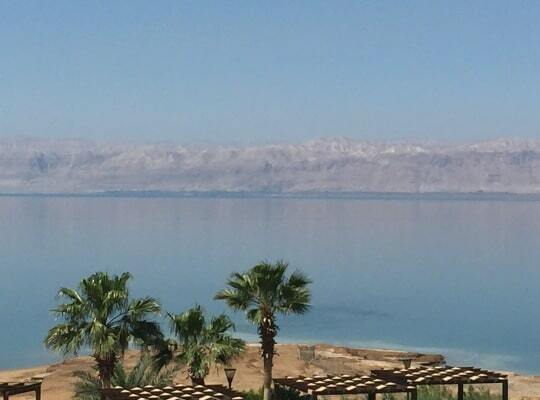 On the last day of a visit to Israel I bathed in the Dead Sea and longingly wondered when I would return. That was back in 2009. Since my earlier return from Israel, my heart ached to be able to make a difference in some way to that beautiful and historic land with such rich and diverse cultures of the people who live there. After an illness towards the end of last year I was spurred into action to regain my fitness and signed up with Dream Challenges, ‘Let’s Trek for Children’ and began training. I chose to raise funds for Children of Peace because of their fresh approach to conflict resolution in the Middle East. The charity’s aim to build bridges between Palestinian and Israeli children, and so develop a shared spirit through healthcare, sports and cultural projects based in the arts and education that resonates deep in my heart. I believe that children, given the chance, quite naturally have the presence, creativity and readiness to make friends with each other anywhere in the world and that as adults, we must afford them that opportunity whenever and wherever we can. Embedding seeds of friendship and building common ground is essential to building trust and understanding between people in order to rebuild cohesive communities step-by-step. This is vital work that Children of Peace are doing and I can’t help feeling that the future political stability in the region will be informed by the hope we can impart to children growing up there now. Children of Peace is proud to welcome a new affiliate – the inspirational Rozana Project – which now joins our Coalition of Peace, now the single, largest peace network across the Middle East. Rozana Project is an important regional healthcare organization. It is dedicated to building Palestinian health by training Palestinian health personnel at Hadassah and other Israeli hospitals. They treat critically ill Palestinian children who are referred to the Paediatric Intensive Care Units of Hadassah and other Israeli hospitals, for the treatment of complex life threatening conditions. This initiative is named after Rozana Sawalhi who arrived at HMO in May 2012 in a life threatening condition after falling nine floors from her apartment in a village near Ramallah. Rozana’s survival and her treatment at Hadassah prompted her mother, Maysa Abu Ghannam, a Palestinian journalist to commit herself to the promotion of health as a bridge to better understanding between Israelis and Palestinians. 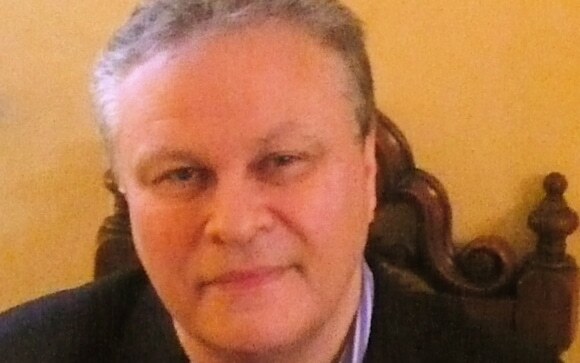 Children of Peace is delighted to announce that Michael Morpurgo, OBE, FRSL, FKC, DL, author, poet, playwright and librettist has kindly agreed to join us as a Friend. Michael, who is known best for children’s novels including War Horse, made into a film by Stephen Spielberg in 2011 became the third British Children’s Laureate, from 2003 to 2005. In 2009, he donated the short story ‘Look At Me, I Need a Smile’ to Oxfam’s Ox-Tales project, four collections of UK stories written by 38 authors. Michael’s work is noted for its “magical storytelling”, for recurring themes such as the triumph of an outsider or survival. And for characters’ relationships with nature, and for vivid settings such as the Cornish coast or World War One. Our research in the West Bank has revealed that many landlocked Palestinian children dream of visiting the seaside. This summer we launch our Seaside Project, with affiliate Humans Without Borders. 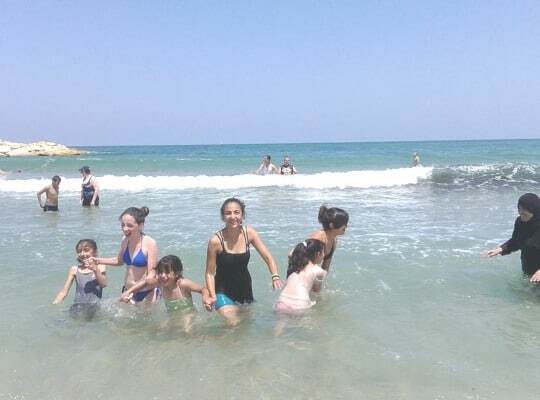 60 sick and disadvantaged Palestinian children and their families will visit the seaside on the Israeli coast on July 24th, and enjoy a fun-filled day by the sea. Humans Without Borders (HWB) is a small Israeli humanitarian charity that occupies a unique niche in the Israeli-Palestinian conflict Its principal activity is in conveying sick children from the Palestinian Occupied Territories to hospitals in Israel where they receive assistance and advanced medical care for serious and life-threatening illnesses. Each week, our volunteer members make dozens of trips, taking the children and their parents to and from the border checkpoints to hospitals in the Jerusalem and Tel Aviv areas. In addition, to lighten the lives of the children, HWB organizes each year parties and outings during the school holidays, and this August Children of Peace is sponsoring a project that will bring the sick children and their families for a Day at the Sea. HWB believes that by promoting direct, friendly, contact between Palestinians and Israelis, it hopes to contribute to greater mutual respect in this troubled area. Over the last five years I have walked a number of pilgrim routes in Spain, England and Switzerland, culminating in a 1,200 mile walk last year on the Via Francigena, a route from Canterbury to Rome. It has been an incredible experience, both physically and mentally. I have met so many interesting people and have had some amazing experiences. About two years ago I added the element of raising funds for charity to my walking, and up to now have collected for charities that are involved with an interest I have in music and health. This year I am going to be walking from Rome to Jerusalem with the focus on peace and reconciliation. Starting in July, I plan to arrive in Jerusalem sometime in December. The route will take me through Italy, Bosnia and Herzegovina, Montenegro, Croatia, Albania, Macedonia, Greece, Turkey, Cyprus, and then to Israel. I’ll be contacting many people from different walks of life, (religious, political), asking for a message of peace, to take with me as I walk. I will also wear a symbol of peace, and I will take a book for people to sign. I have already started giving talks about my experiences, and my intention is to engage with as many people as possible before, during, and after this year’s walk. In whatever way I can, my hope is to help raise the profile and awareness of peace in the world. And, in my own small way, I hope that my walk will have some ‘effect’. I chose Children of Peace as my charity to support because of its non-partisan approach, and its focus on children being key to peace in the future. As Mahatma Gandhi said, “If we are to create peace in our world, we must begin with our children”. When I am in Israel and Palestine I will hope to see some of the work that Children of Peace support. All communities in the region face environmental challenges. In Gaza, the supply of drinking water is under threat, and a young Palestinian engineer is pioneering a solution. Diaa Abu Asi has developed a machine which transforms sea water into drinking water. This project, which has been developed by Gaza’s Islamic University, uses nanotechnology to make the water potable by reducing its salt content. Meanwhile in Israel solar-power trees are being used to charge phones, provide Wi-Fi and cool water. The trees are in fact made up of metal ‘trunks’ and ‘branches’ which support solar panels. They were the brainchild of an Israeli company called Sologic, and also offer informational LCD screens and nighttime lighting. A downside is that each eTree costs £100,000. This picture, taken by photographer, Ziv Sade, was captioned #rebelhearts, the title of our Patron Madonna’s new album. It was greeted with thousands of Likes from fans who appreciated the message of love and reconciliation. But some questioned whether it was, after all, so very rebellious. One Jewish commenter pointed out that he’d been living with his Arab Muslim boyfriend for three years. However other comments proved there was still some way to go. ‘Death to Arabs’ was one stark response, whereas others objected that homosexuality was forbidden in Islam. A recent documentary film, Yariv Mozer’s ‘The Invisible Men’, drew attention to the problems faced by gay Palestinians living in hiding in Israel. Recent dramatic events have rather overshadowed Israel’s own tangle with FIFA. The Palestinian Football Association had bid to have Israel suspended from FIFA, citing restrictions on the movement of Palestinian players and the fact that five of Israel’s league teams are based in West Bank settlements. The team Beitar Jerusalem is particularly associated with racism, and its fans are known to chant ‘Death to Arabs’ and oppose hiring Palestinian players. l association, decided to drop his call for a ban, and instead agreed on a compromise whereby a committee would be formed to examine the alleged problems. Many Palestinians felt betrayed by this climb-down, whereas football supporters in Israel argued that the accusations overlooked the alleged criminality of some Palestinian footballers and also represented a disproportionate scrutiny of Israel when other countries have human rights problems of their own. Some Palestinian children made their own feelings clear by showing IDF soldiers the red card. Maryam Faghih Imani is the daughter of a prominent Ayatollah in Iran. She was brought up to distrust Israel, and was never taught about the Holocaust. However now she urges tolerance between Jews and Iranians, and argues that the two peoples have a great deal in common. This isn’t the only way in which she rebelled against her upbringing. She resisted wearing the hijab, and insisted on the right to attend university and refuse offers of marriage. Eventually she decided that she could no longer remain in Iran and now she works as the president of the Centre for Cultural Diplomacy, based in Oslo. This organization promotes democracy and dialogue, and its Iran-Israel Friendship Dialogue is one of its flagship programmes.